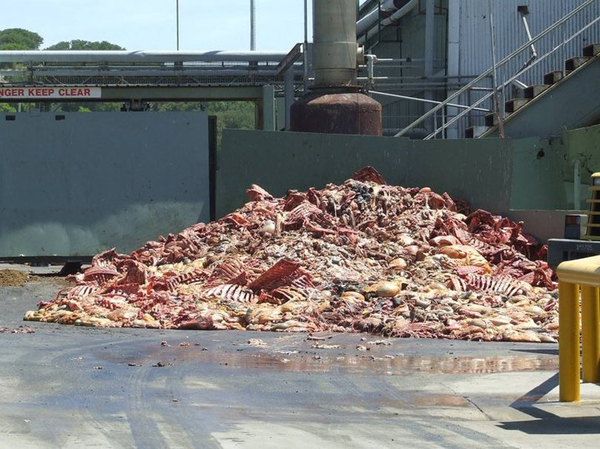 Slaughterhouse waste (or abattoir waste) treatment has been a major environmental challenge for all over the world. In most of the developing countries, there is no organization for disposal of solid as well as liquid wastes generated in abattoirs.There are several way for beneficial utilize the slaughterhouse wastes including biogas generation, fertilizer production and utilization as animal feed.Anaerobic digestion is the best options for slaughterhouse waste treatment which produce energy-rich biogas, reducing Greenhouse gases emissions and effectively control the pollution in abattoirs. The size reduction equipment-industrial shredder take very import role in the biogas production process,the shredding process will help the pasteurization easier and more efficient. TIMO provide size reduction equipment capable of handling 2-25t/day of slaughterhouse waste with a required particle size at output of 10-15 mm. Our sturdy shredders have special seals and have no trouble processing bones or the whole animal Carcasses. We also offer additional equipment versions and are able to optimize the shredding machine to your requirements.